Jari Villanueva retired from the United States Air Force where he spent 23 years with The USAF Band in Washington DC. He is considered the country’s foremost expert on military bugle calls, particularly the call of Taps which is sounded at military funerals. While in the Air Force he was the Non-Commissioned Officer In Charge of The USAF Band’s State Funeral Plans and was the NCOIC of the command post at Andrews AFB which oversaw the arrival and departure ceremonies for the late Presidents Reagan and Ford. As a ceremonial trumpeter, Villanueva participated in well over 5,000 ceremonies at Arlington National Cemetery, served as an assistant drum major leading The USAF Ceremonial Brass in funerals at Arlington. He was responsible for all the music performed by the USAF Bands for state funerals. Between 1998-2002 Villanueva created a display at Arlington National Cemetery highlighting the history of the military bugler. He was responsible for moving the bugle used at President John F. Kennedy’s funeral from the Smithsonian to Arlington where it is currently on display. In 2007 Villanueva was inducted into the Buglers Hall of Fame, the first active duty military bugler to be so honored. Between 2008 and 2017, Villanueva worked for the Maryland Military Department, serving as the Director of Veterans Affairs, Maryland National Guard Honor Guard (MDNGHG). The mission of the MDNGHG is to provide Military Funeral Honors to Armed Forces Veterans in Maryland and performs over 3,500 ceremonies each year. He is also served as conductor/commander of the Maryland Defense Force Band and retired in 2017 at the rank of Lt. Colonel (MDDF) in the Maryland Defense Force. During his time in the Maryland Defense Force he led the band in over 200 ceremonies and events. In 2011, Villanueva planned, coordinated and oversaw the funeral services for former Maryland Governor William Donald Schaefer. He also provided the military funeral honors for Paul J. Wiedorfer, the last living Maryland Medal of Honor recipient. Villanueva served on the committee to plan the 150th anniversary of the Pratt Street Riots in Baltimore marking the start of the Civil War and served on the planning committee for the 9-11 Memorial of Maryland at the Baltimore World Trade Center. 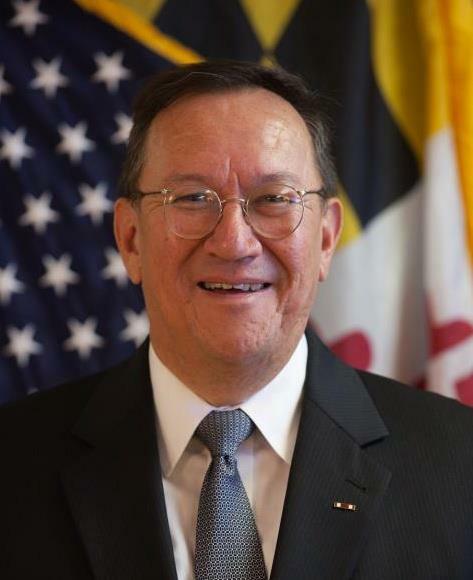 In 2012, Villanueva was appointed by Governor Martin O’Malley to the Maryland Military Monuments Commission. In 2017 he was appointed by Governor Larry Hogan to the Governor’s Commission on Suicide Prevention. His musical arrangements can be found through many websites including Sheet Music Plus, Musicians Publications, JW Pepper. Art of Sound Music. Jari was mentored by the late Bill Holcombe who was one of America’s leading music arrangers. Villanueva’s military awards and decorations include the Meritorious Service Medal with one oak leaf cluster, Air Force Commendation Medal, Air Force Achievement Medal with three oak leaf clusters, Air Force Good Conduct Medal with six oak leaf clusters, National Defense Service Medal with one service star, Global War on Terrorism Service Medal, the State of Maryland Distinguished Service Cross, the State of Maryland Meritorious Service Medal, the State of Maryland Commendation Medal with two oak leaf clusters and the Maryland Defense Force Achievement Medal. From 1998 to 2010, Villanueva was an adjunct professor in the Music Department at the University of Maryland, Baltimore County, where he served as Director of Bands. He started the UMBC Pep band known as the Down and Dirty Dawg Band. A Civil War historian and re-enactor, Villanueva is Artistic Director of the National Association for Civil War Brass Music, Inc., where he directs and leads The Federal City Brass Band and the 26th North Carolina Regimental Band, recreated regimental bands of the Civil War era. He also sounds bugle calls at many re-enactments. In addition, he was the founding director for the National Civil War Field Music School where students learn to play fife, drum and bugle and continues to teach at the school yearly. Villanueva planned and coordinated the events surrounding the 150th anniversary of the bugle call Taps in 2012. Events were held in Union College NY (where Dan Butterfield attended school), Arlington National Cemetery culminating with a ceremony at Berkley Plantation in Charles City, VA where Taps was born. In addition he coordinated the ceremonies surrounding the 50th anniversary of the sounding of Taps at the funeral of President John F. Kennedy at Arlington National Cemetery. This event drew over 100 buglers to sound Taps in memory of the president and Keith Clark, the bugler.